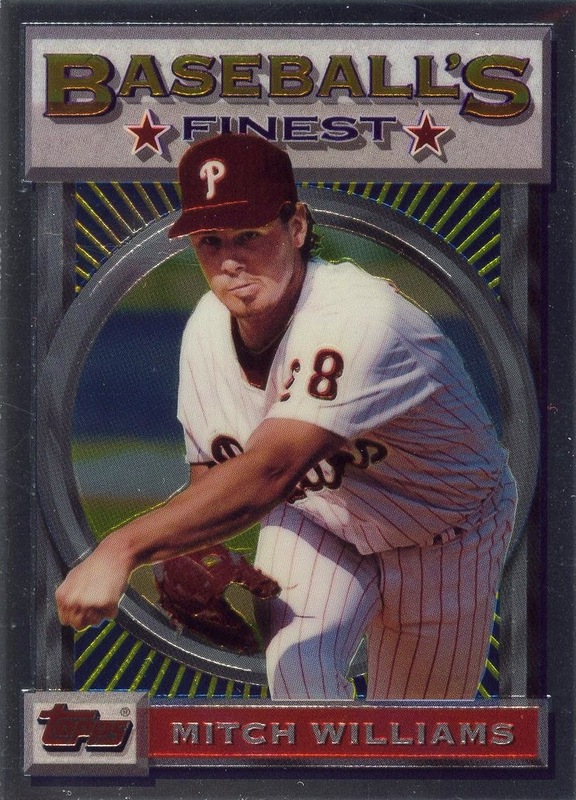 Additional information/14,000 Phillies Commentary: Sticker numbers 2 & 3 (Hollins and Kruk) are meant to blend in with the pages of the sticker album that show a recap of the 1993 World Series, and thus have no border. In fact, the Kruk sticker, along with sticker #4 in the set, creates a unified image of him leading off first base with the Blue Jays’ John Olerud covering the bag. 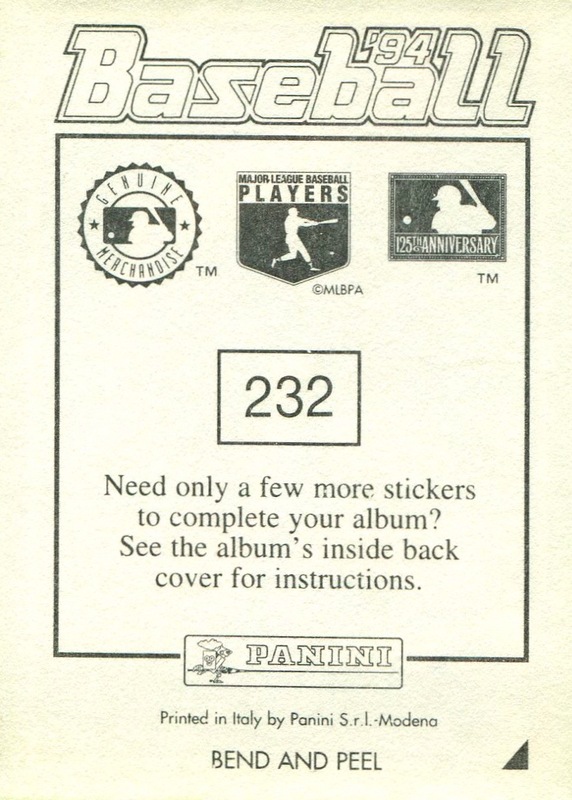 Along with the 1993 Panini Stickers set, these are the largest stickers (in size, not number) that Panini manufactured for use in a sticker album. 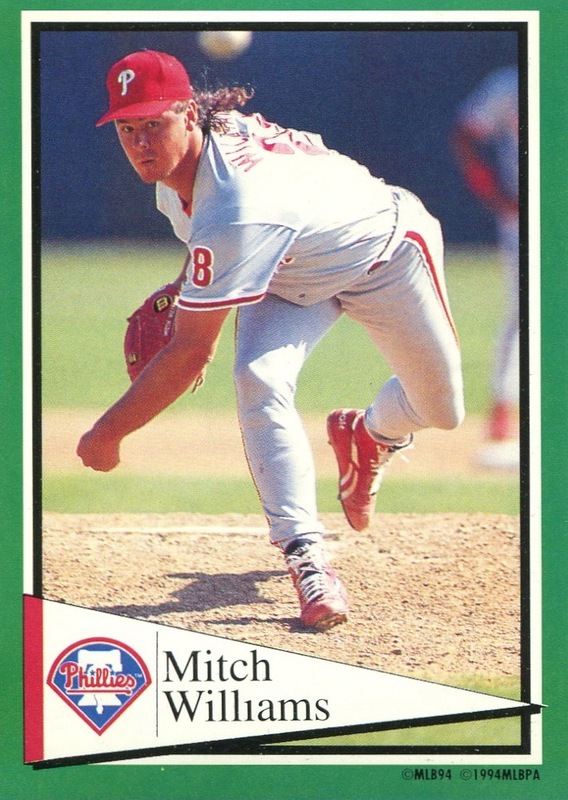 Lately, I’ve been making it a point to track down the various Fleer, Topps, & Panini sticker Phillies team sets from the ’80s and ’90s. 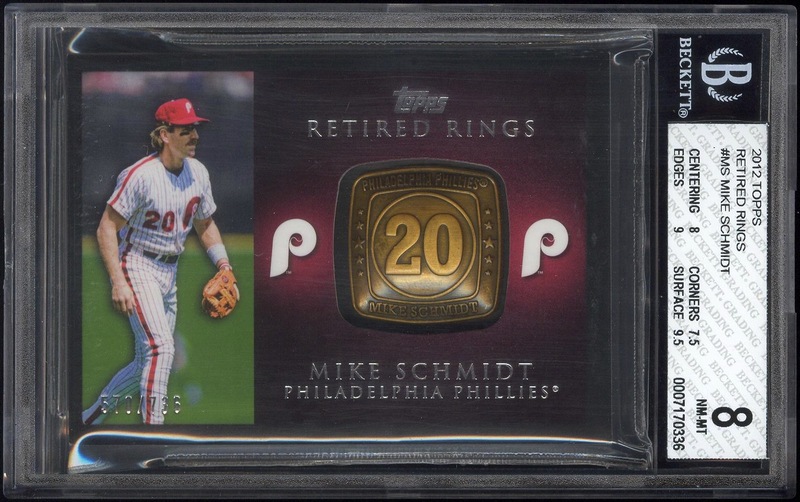 I didn’t collect them at the time of their release because my collection was focused solely on baseball cards. However, over the past few years I’ve become a lot more liberal in what falls under the definition of “card” (at least for the purposes of my collection) and these sticker sets are often the biggest team sets I’m missing from the collection. Thankfully, most of them appear to be plentiful enough that acquiring team sets (thus far) has been relatively inexpensive and painless. I also received in the mail a 2012 Topps Museum Primary Pieces Ryan Howard card bearing micro surface crease and a slightly dinged corner. No, I didn’t purchase it off of eBay in this condition. It was beat up because the seller didn’t bother to place the card in any sort of protective packaging. 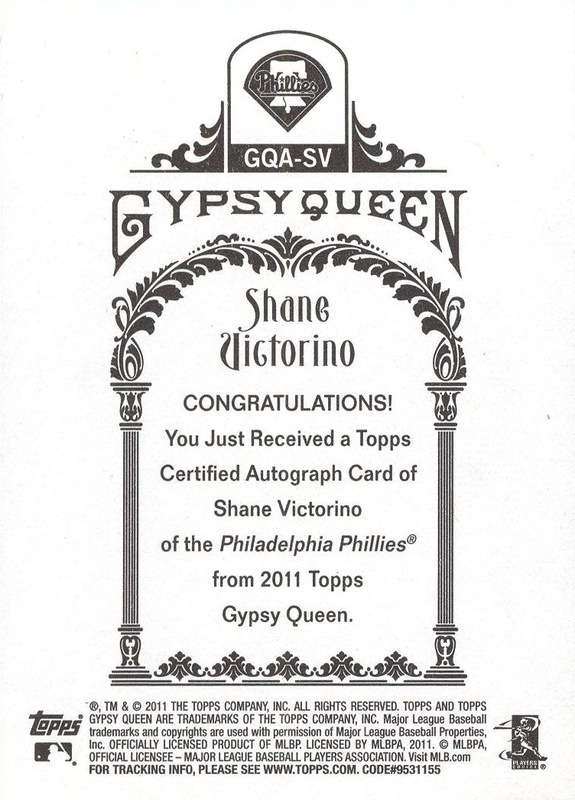 Yes, you read that correctly — the card was literally just placed in a folded piece of paper and then mailed off in a plain, white business envelope. I have already heard back from the seller, who will honor my request for a refund. He insists that he had no idea that such a card could get damaged so easily. Finally, tomorrow marks the 1st anniversary of my starting this blog. I plan to have a special post commemorating the event tomorrow or Saturday. As a bit of a teaser, I’d like to point out where the current collection count stands.